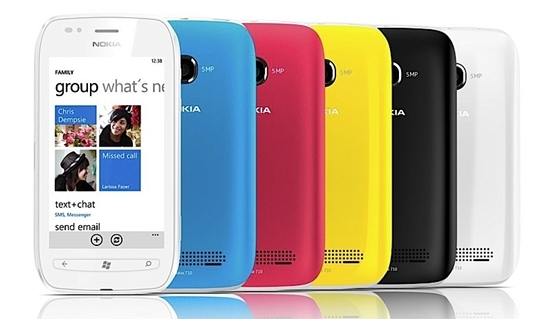 Apart from announcing the Lumia 800, Nokia also unveiled the Lumia 710 at the Nokia World 2011 event. The Nokia Lumia 710 is a cheaper Windows Phone 7.5 Mango phone compared to the Lumia 800. In terms of specs, the Lumia 710 also packs quite a punch. 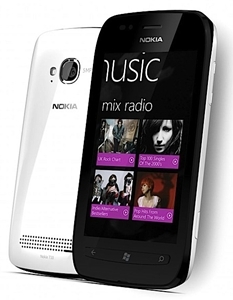 It uses the same 1.4GHz processor and 3.7-inch ClearBlack display found on the Lumia 800 although camera resolution is lower at 5-megapixel camera but is nonetheless capable of recording 720p HD video at 30 frames per second. The handset also includes a 512MB of RAM, 8GB of storage and a 1,300mAh battery. The phone can be personalized with exchangeable back covers, first popularized by Nokia in their 5110 handset. The Lumia 710 is expected to launch first in France, Germany, Italy, the Netherlands, Spain and the UK in November and then Hong Kong, India, Russia, Singapore and Taiwan by the end of the year. The rest of the world will have to wait until 2012. It will be priced at €270 or about P16,000. It is available in black and white with black, white, cyan, fuchsia and yellow back covers. i have my Nokia Lumia 710 from T-mobile and it is COOLLL!! !